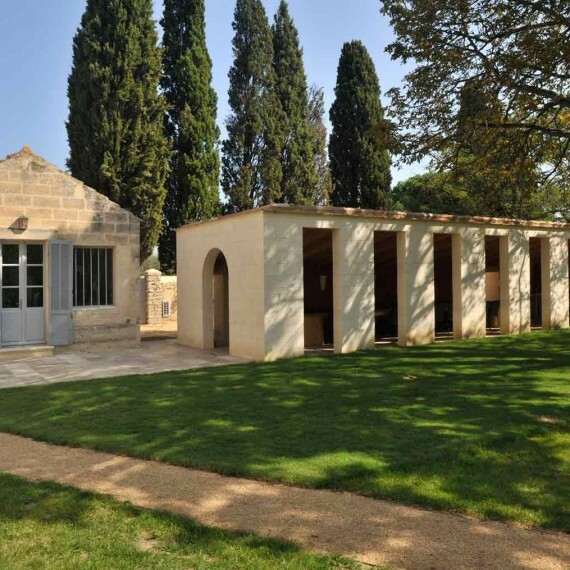 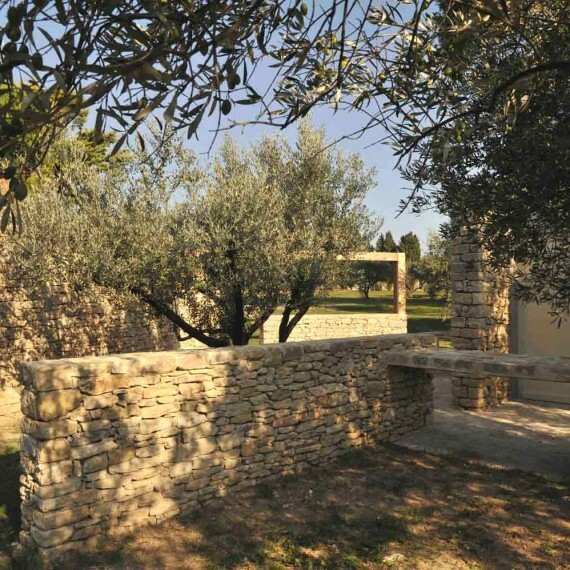 The project focuses on the design of the pool area in the southern part of the estate’s garden in order to create a new gathering space by means of a series of stone walls linking two distinct parts of the garden. 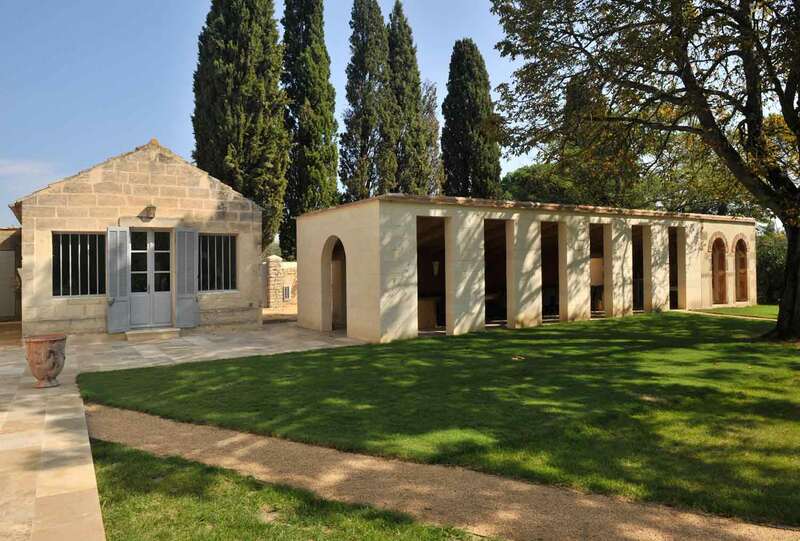 Starting with the owner’s request to conceal the mechanical room of the existing pool, it ended in the great challenge of working in an extraordinary historical property in one of the most beautiful landscapes of France (traditionally chosen by artists for the quality of the light and the colours in the landscape). 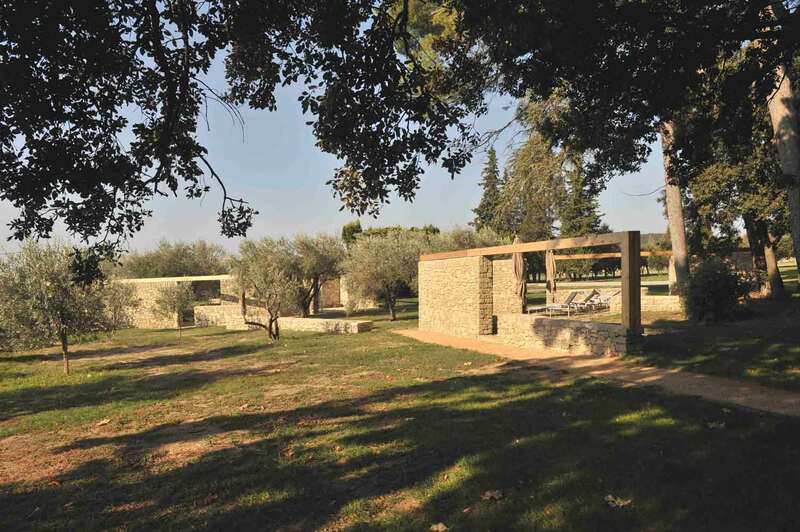 The intention of the project is the preservation of the original sense of the site while undertaking a substantial intervention. 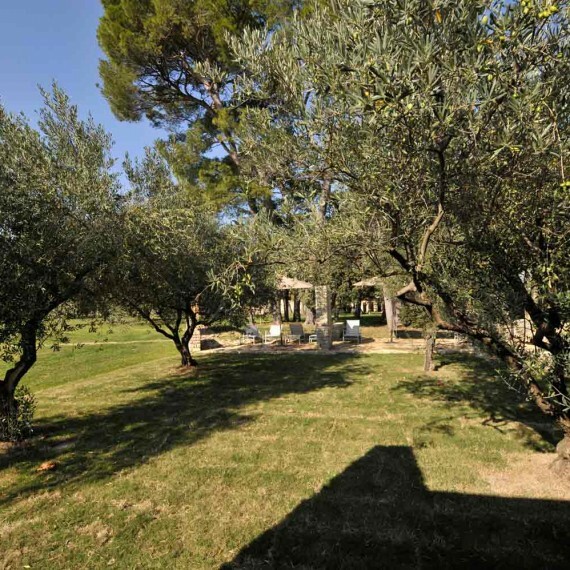 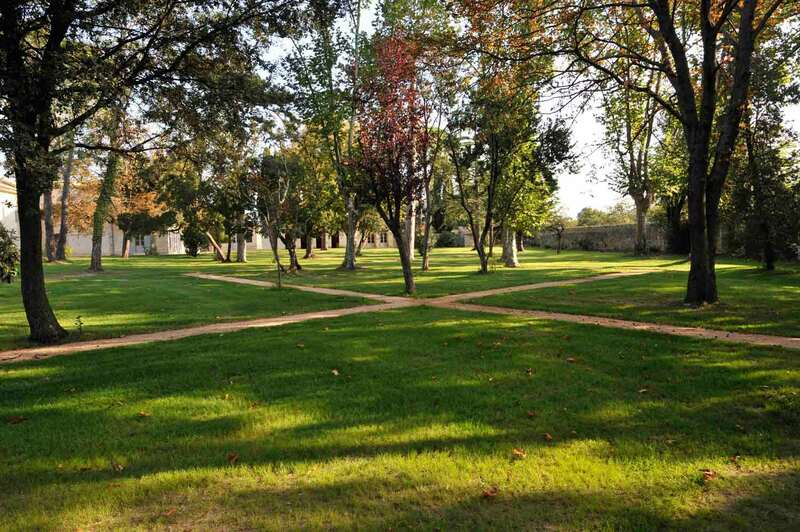 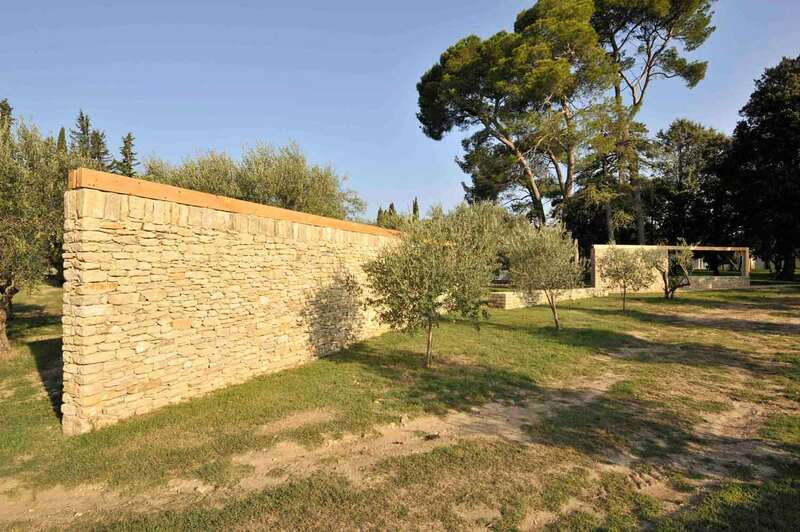 The property is marked by clearly defined zones: the main building, the volière, the atelier, the ancient pozzo (well), the animal house, the park, the olive grove, the garden and the boundary walls. 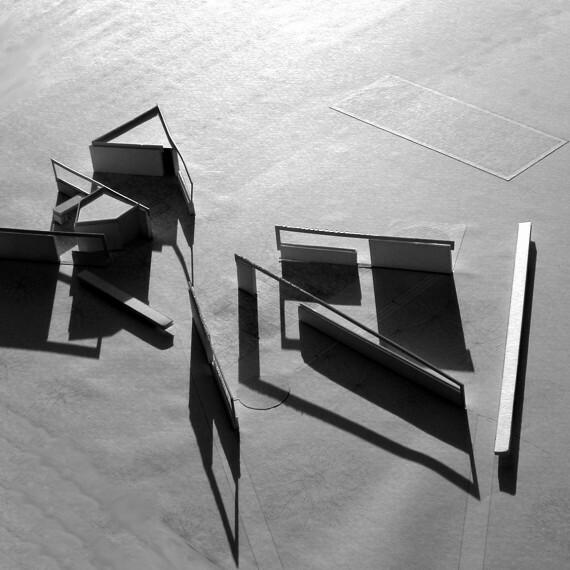 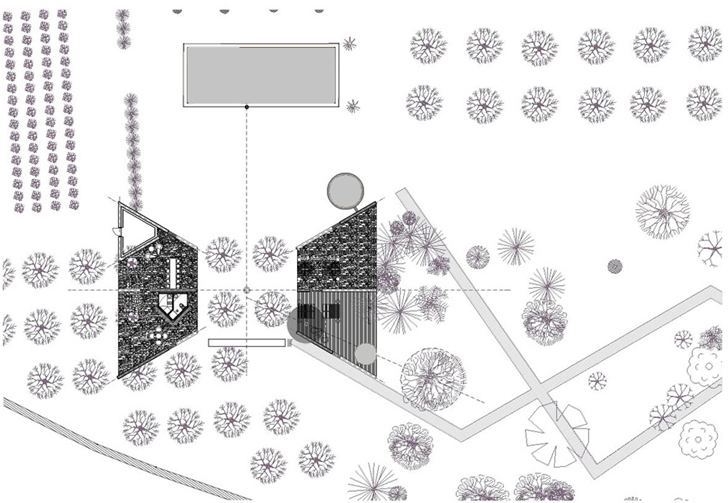 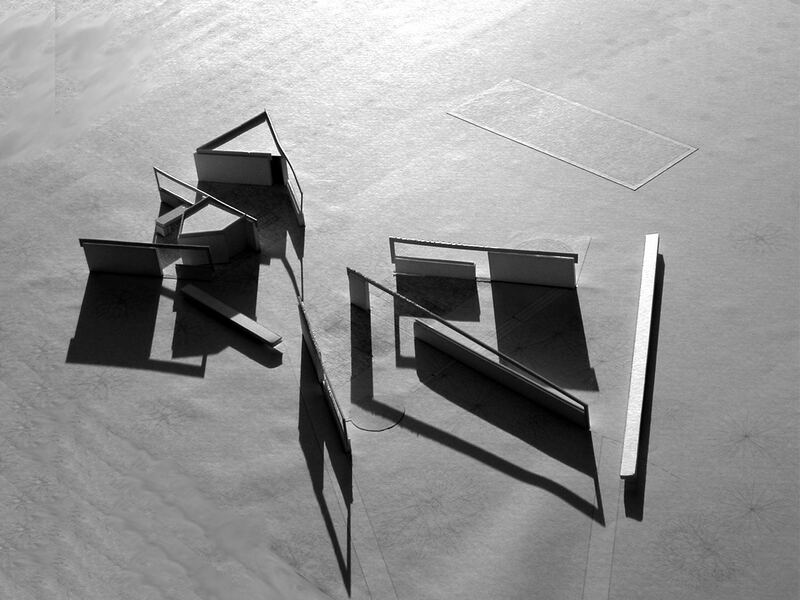 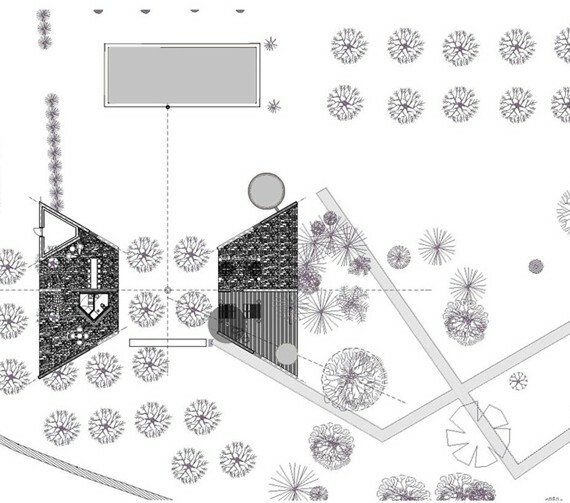 It was clear from the outset that the intervention involved the creation of a new site within the property and the seeking of a balance of harmony with the existing facilities. 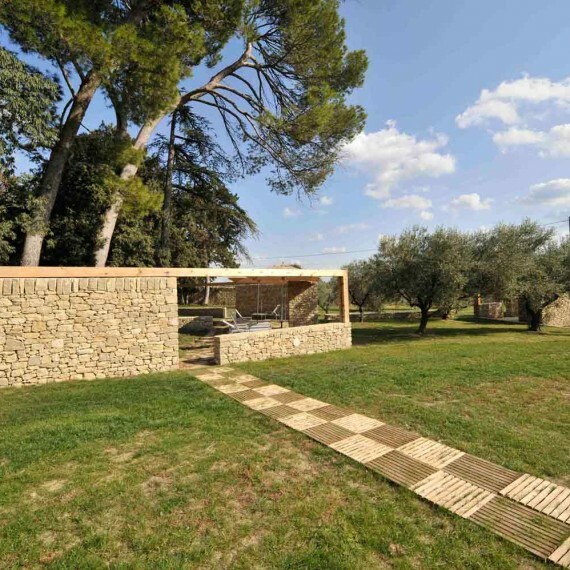 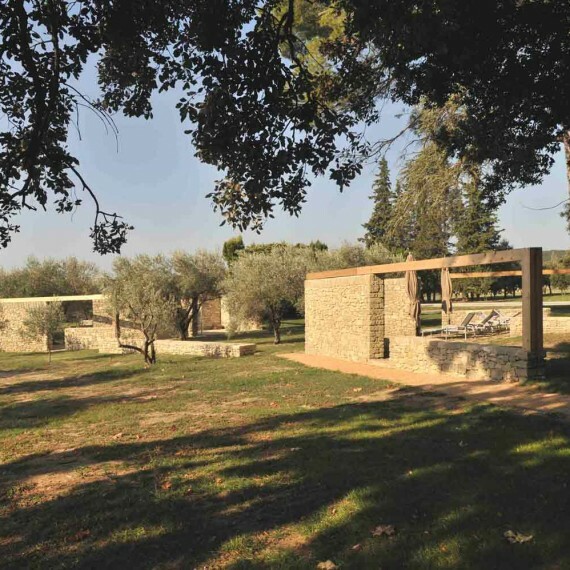 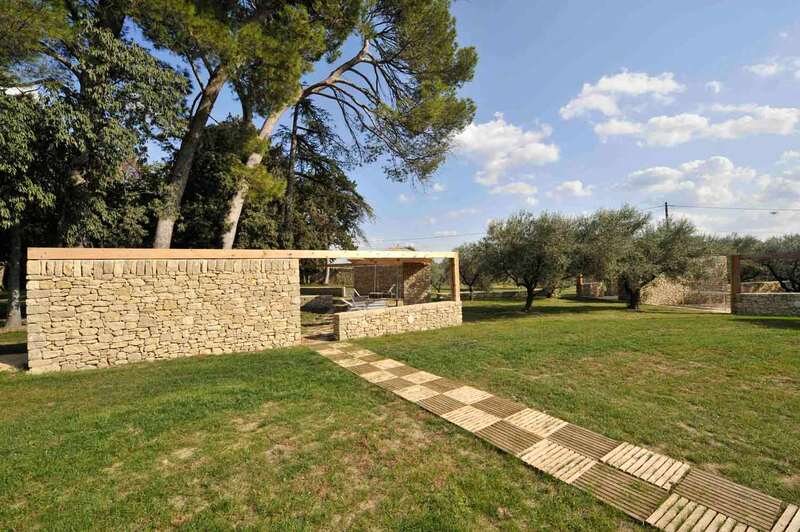 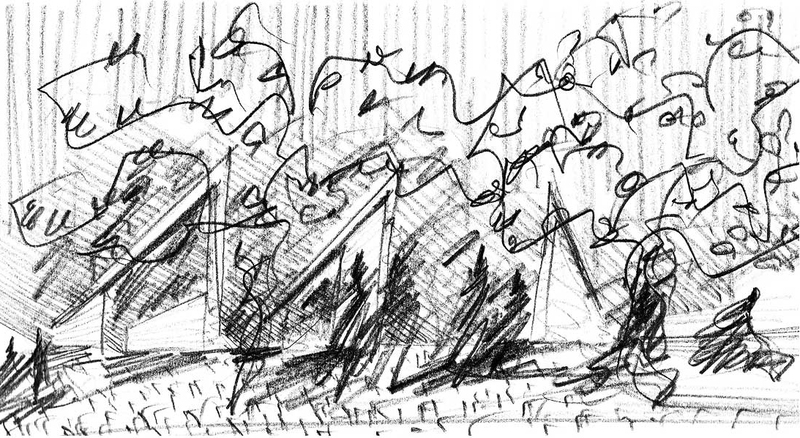 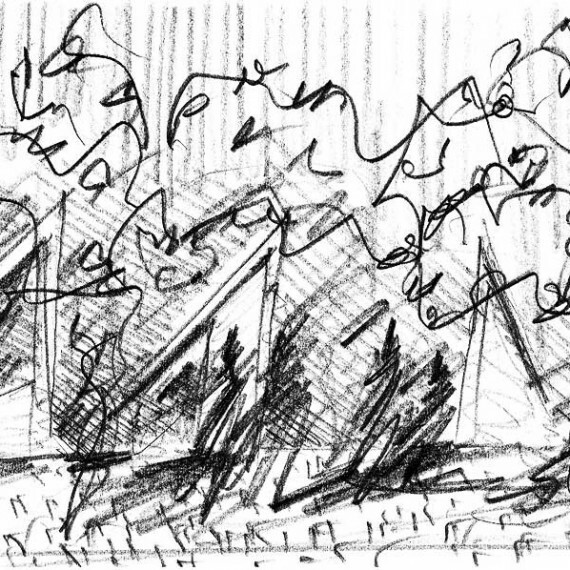 The new elements take advantage of the less defined division between two conditions: the area towards the house marked by a kind of spontaneous vegetation of high trees and the olive grove. 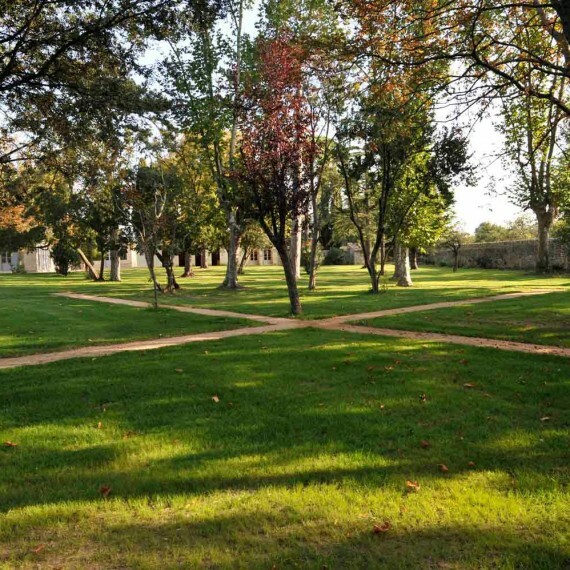 Unlike the other parts of the property that are clearly divided and structured; both these areas were set at the edges of this historical tissue due to the peculiar position of the recently built pool, probably to follow the symmetrical scheme of the Italian garden. 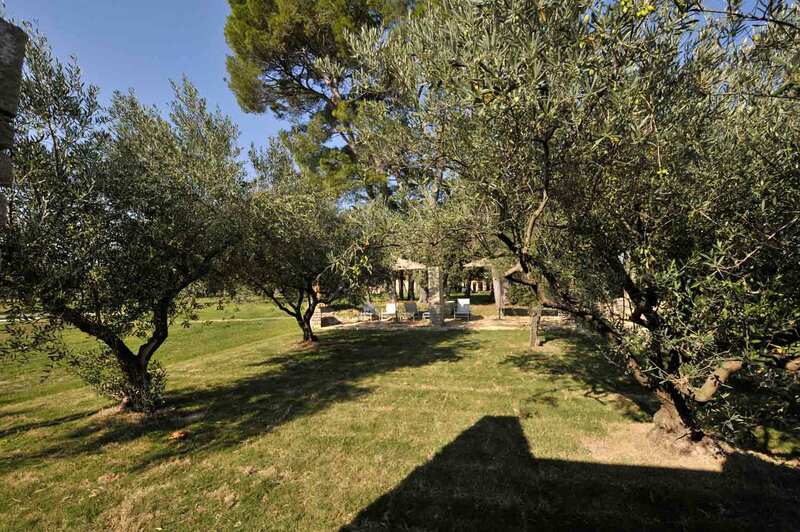 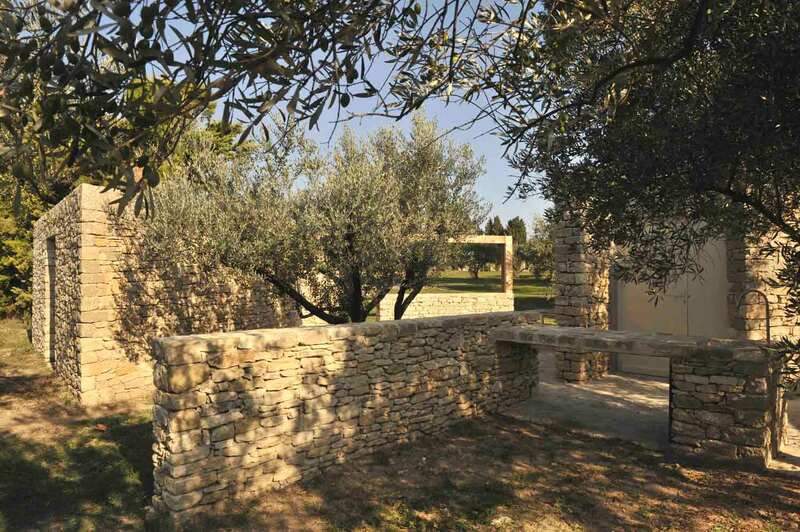 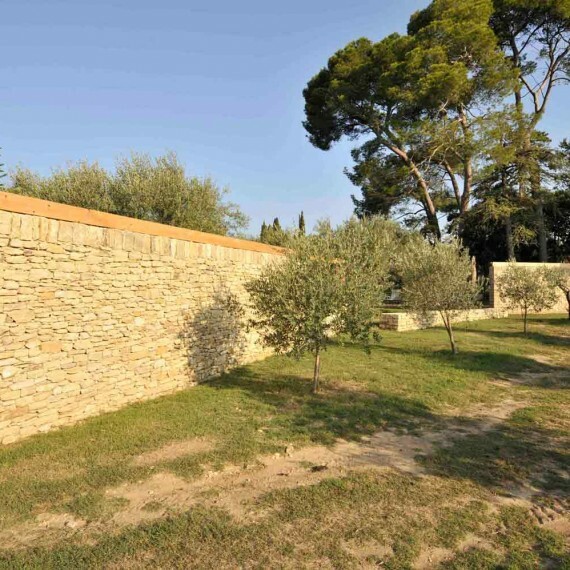 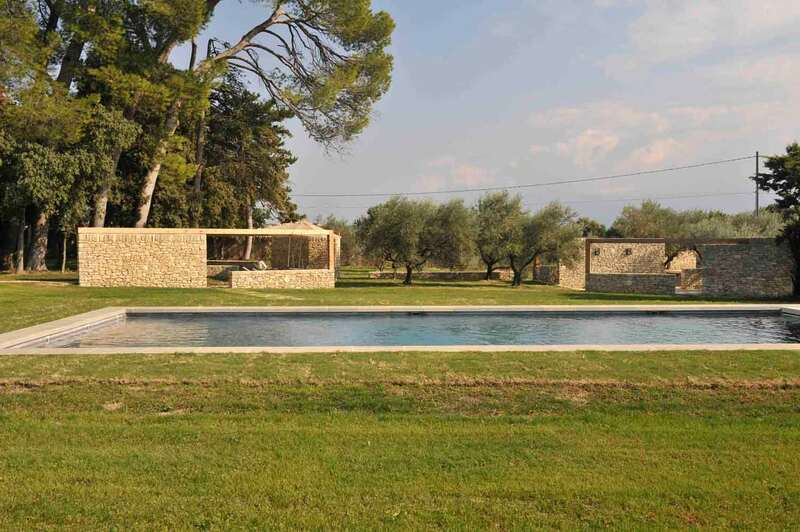 The aim of the new design is to recognise the individual character of this part of the property and set the new project in such a way as to enlighten the beauty and identity of the adjacent areas: olive trees, wood and garden with pool. 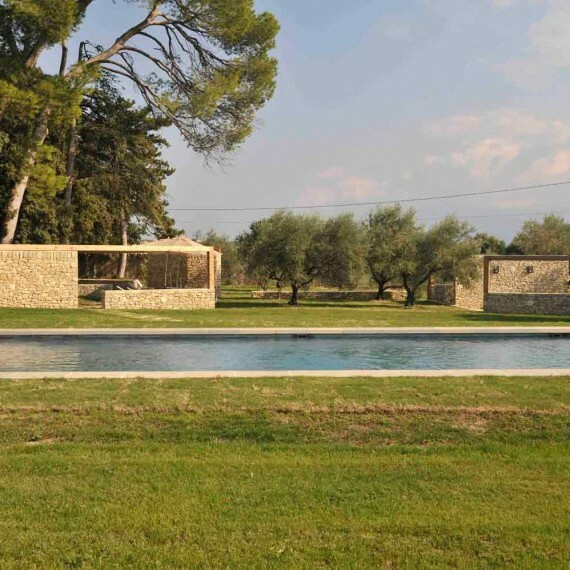 The new elements shift the fulcrum of the whole property and enlarges the perception of it towards south, adding a new pivotal place for the owner and his extended family.